The European Café project is a set of regular lectures and discussions held at city cafes and other open spaces of Minsk since 2011. Experts from different EU countries, U.S., Ukraine and Russia are invited to Minsk within the project framework. A range of famous Belarusian researchers and specialists deliver their lectures at the Café as well. The topics covered by the lecturers are multiple and varied and include different aspects of political, social and cultural life in European countries. The burning issues of the modern world are discussed at European Café: everything from international politics, historical memory, mass media, correlation of the local and global (including the EU integration challenges) to education, gender aspects and mass culture. Active exchange of knowledge and opinions during the lectures contributes to the mutual agreement, better understanding of the processes and views typical of other societies and cultural contexts. 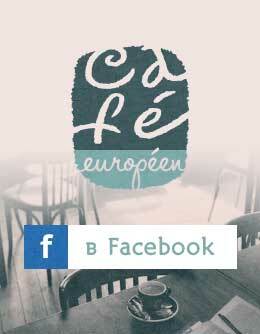 European Café is one of the public platforms which fosters the integration of the Belarusian society into the all-European space. Due to our partners’ contribution and support we are able to invite Charles Grant, Lev Gudkov, Barbara Steiner, Pal Tamas, Anke Hennig and many other no less famous people. European Café has expanded its outreach, launching regional programs. Such a program functions in Brest due to our partners’ efforts - a cultural platform called Kryly Halopa Theatre. The lecture transcripts are published at the project Web-site. You can choose the most convenient format: a video or audio transcript, a text version or a photo essay. You are welcomed to send us your ideas, preferences and critical remarks to eurocafe.by@gmail.com.